U.S. government and politics can seem depressing at times, that is until you look elsewhere. 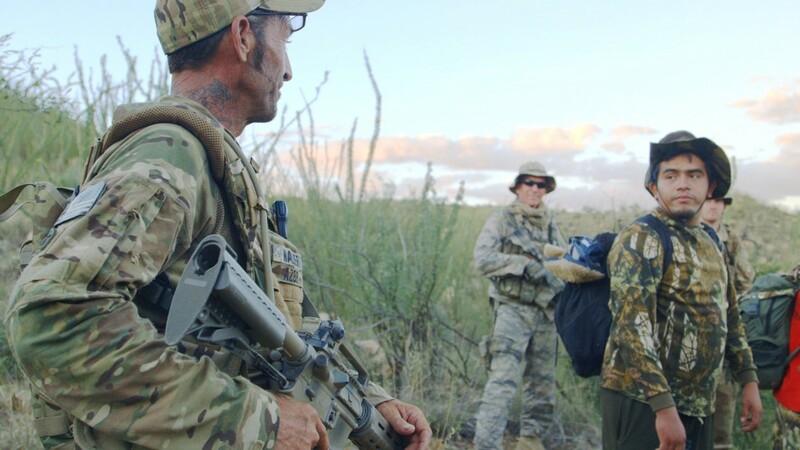 Cartel Land, directed by Matthew Heineman, is a front row seat to the fight against cartel violence in Mexico and along the US-Mexico border. The film examines what happens when government is no longer serving its citizens but rather serving itself. Do you stand by and watch as things continue to deteriorate, or do you take the law into your own hands? This question introduces us to two wildly contrasting characters fighting for what they believe in, but in vastly different ways. Dr. Jose Mireles, a physician in the Mexican state of Michoacan, leads a modern day uprising against the reigning cartel, The Knights Templar. 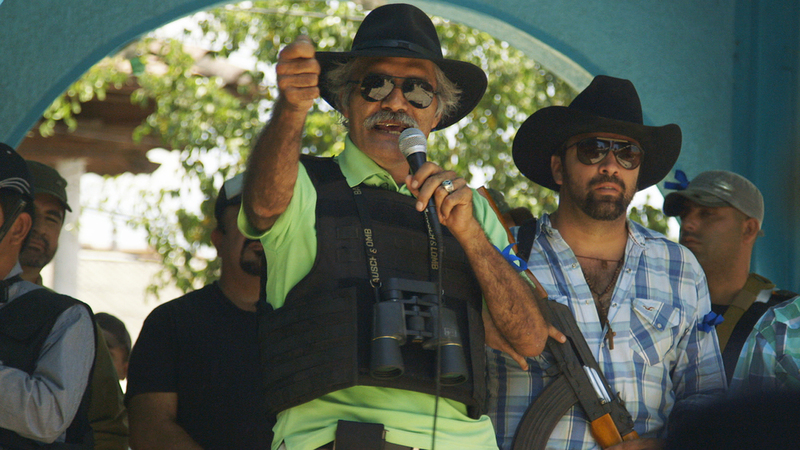 Known as the Autodefensa, they travel from town to town, driving out members of the cartel. On the other side of the border, Tim “Nailer” Foley, leads the Arizona Border Recon, a group who hunts cartel members, coyotes and scouts who illegally cross the border. The fascinating thing about this film is that just when you think you know who the good guys are and who the bad guys are, the landscape shifts. It’s impossible to keep up with the game when the rules are constantly changing. It seems that even when someone starts out trying to do the right thing, they end up blurring the lines. To me, corruption was like another character in this film and it’s presence was so powerful, you couldn’t ignore it. In Mexico, it seems that they are dealing with a government that no longer governs and law enforcement that no longer enforces. That’s a tough spot to be in when you can’t count on the people in charge to take charge of a situation so dire. Here in the US, the Border Recon group is up in arms, literally, because they feel the issue of border security is being ignored. Cartel Land is a horrifying depiction of what happens when people stop caring, and how it can be equally as scary when people care too much. Regardless on your political views, this film will have you on the edge of your seat and leave you wanting more. This entry was posted on Monday, April 13th, 2015 at 11:04 am	and is filed under Film, News. You can follow any responses to this entry through the RSS 2.0 feed. You can skip to the end and leave a response. Pinging is currently not allowed. « Film Review: ‘This Isn’t Funny’!